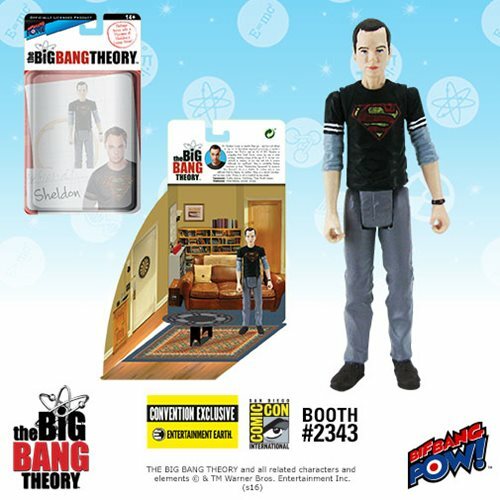 The great San Diego Comic-Con exclusives machine is rolling along now. It's not at full steam yet, but soon...SOOON...we will be buried under all those insane collectibles, comics and items of pop culture interest. 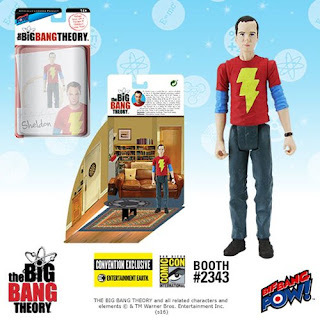 Today Entertainment Earth sends word on THREE of their fantastical exclusive offerings from an alternate universe where nerds get the hot chicks and all worship DC Comics...a universe called...the Big Bang Theory! 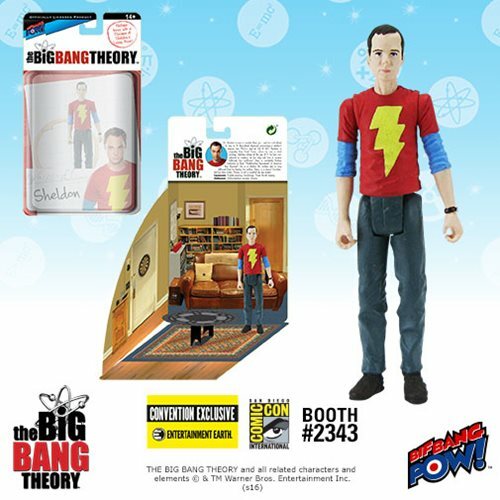 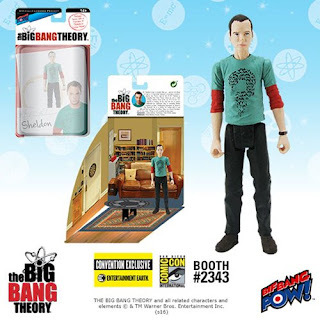 Fans of THE BIG BANG THEORY, get ready for some theoretical physics fun with three brand-new, unique 3 3/4-inch scale action figures of Sheldon Cooper - all 2016 Entertainment Earth Convention Exclusives from Bif Bang Pow!